You are here: Home / Better coaching / Albert Ellis would have been one hundred today. Albert Ellis would have been one hundred today. As a teenager Ellis was very shy. He hardly dared to open his mouth in public or speak to girls. Aged 19 he read somewhere it was possible to overcome fear by doing things that scare you. He imposed exercises to himself: He had to chat with every woman he saw standing on her own. It worked. Ellis noticed that you can change the way you observe yourself and how you perceive the world. After an education to become a psychanalytic therapist he started to see the psycho analytic way of working as a waste of time. He started to give his patients homework en became more and more directive. Not only did his patients recover better because of this, but Ellis started to enjoy it himself. In 1953 Ellis broke with psycho analysis. Two years later he coined his way of working as “Rational-Emotive-Therapy”, RET in short. RET was more easily accepted by patients and insurers than by his colleagues. Being critical towards Freud was seen as serious offence. [SIMON: They resented him for being critical, how to say that in correct English, JDD] In 1982 however, he was chosen as one of the most influential therapists of the 20th century, by his fellow practitioners. Ellis changed the name of the therapy to REBT. The B stands for behavioural. Eliss wanted to emphasise to patients the importance of changing his behaviour. To merely comprehend didn’t suffice according to Ellis. The years before his death Ellis spend mainly time fighting the institute he founded himself: The Albert Ellis Institute in New York. Ellis was expelled from the board but returned through law suits in the year before he died. A period too short to settle unfinished business like copyrights to his books and ownership of the brand “Albert Ellis”. 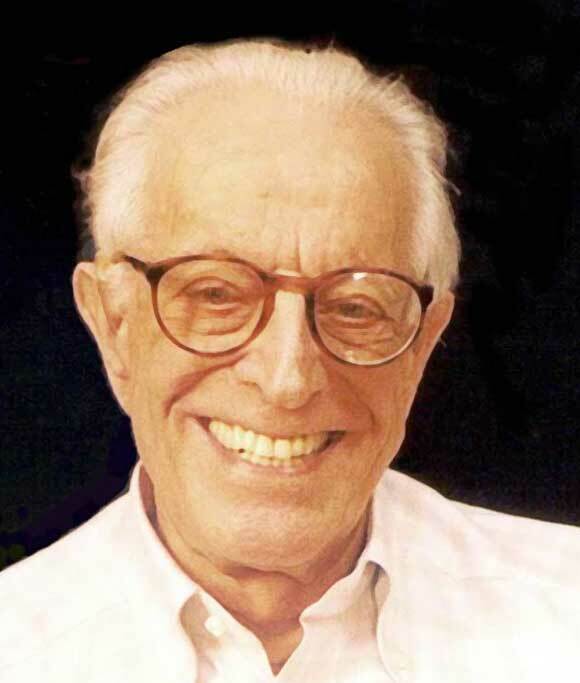 Albert Ellis contributed tremendously to the development of the field of psychology. He supported many people in gaining insights about themselves and how to change themselves. With REBT he invented a methodology that helps many people to find more fun and fulfilment in in their work. With this he is one of the corner stones in enlarging the happiness at work in organisations. Albert Ellis was born one hundred years ago on September 17, 2013 in Pittsburgh, USA. He died aged 93, on July 24, 2007 in New York. https://happinessatwork.eu/wp-content/uploads//2007/08/Albert_Ellis_2003.jpg 683 580 Onno Hamburger https://gelukkigwerken.nl/wp-content/uploads/2018/03/logo-gelukkig-werken.png Onno Hamburger2013-09-13 09:54:512013-12-04 13:18:27Albert Ellis would have been one hundred today.